I’ve been working on something special this past month…Something that has been so hard to keep secret because my heart is bursting with excitement over it. Along with my passion to be creative and crafty with my children, I also feel passionate about teaching my children how important service is and how they can feel joy in giving to others. 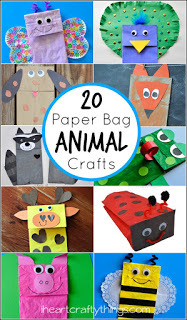 How do kid crafts fit in to all of this? 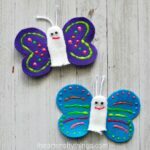 Well, today I’m sharing how you can craft it forward with these beautiful, colorful butterfly finger puppets. What is Crafting It Forward? But how do you craft it forward? Each box contains an address listed on a sticker label. 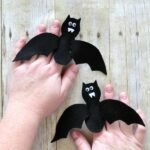 The address might be for a children’s hospital or a senior center located all across the U.S. After your child is finished enjoying the craft, you can write a note and forward the craft using the mailing label. Read more about how Crafting It Forward has joined up with MaxLove Project to help kids thrive against cancer and to see first hand how these crafts are bringing joy and smiles to children’s faces. What an amazing way for your children to feel firsthand the joy of giving! This month I had the honor and privilege of helping to design the May craft box. 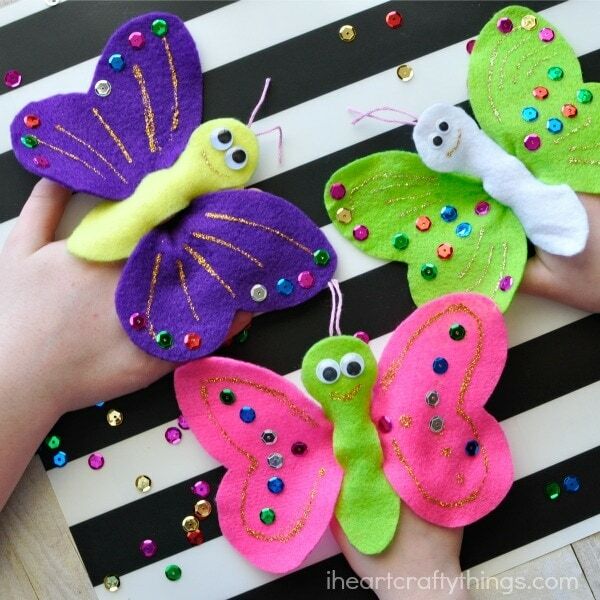 In it you will find all of the supplies and a pattern to make this colorful butterfly finger puppet (plus one more craft). Isn’t it gorgeous? Your kids will not only have a ball creating their butterflies, but they will also have fun flying them around and playing with them afterward. Now imagine the joy they will bring to a child who is in the midst of battling cancer. This month the labels included in the box will all be going to children, so passing along this fun butterfly craft will bring some much needed cheer to another child. If you would like to craft it forward this month by purchasing a May craft box, visit Crafting it Forward and click Get Your Box in the upper right corner. GET $10 OFF YOUR FIRST BOX!! To get $10 off of your first box, place an order and then email the promo code “iheartcraftythings” to candice@craftingitforward.com and $10 will be credited back to your account. 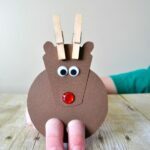 If you don’t have children to craft with in your home but you still want to help, you can also sponsor a craft box for a child who is currently staying long term in a hospital. Want to keep up with the latest from Crafting It Forward and how they are helping others? Follow them on Facebook and Instagram.